Led by Christopher Russell, Ph.D., the Centre for Drug Misuse Research in Glasgow conducted the "Vapers Helping Smokers" global survey this summer. The survey's findings were released Sept. 20 at the VapExpo in Paris. "We know that e-cigarettes can help smokers quit smoking. Less discussed is the idea that vapers who have quit smoking since they started vaping regularly can further boost quit rates by providing an invaluable source of first-hand experience, information and advice to smokers who may be curious, cautious or contemplating using an e-cigarette to support a quit attempt." Russell's research found that "an intuitive, pragmatic approach (to get those to quit smoking) would be to encourage and assist those who are not interested, willing or able to quit smoking to use nicotine products that are substantially less toxic than inhaled tobacco smoke." And the suggested product? It's e-cigs, officials said. The smoke from traditional tobacco cigarettes is filled with thousands of chemicals, many of which have been linked with cancer. E-cigs take the tobacco smoke out of the equation and replace it with a vapor that can contain different levels of nicotine – or only flavorings – based the user's wants. Nicotine is still an addictive stimulant – similar to caffeine – but studies have shown that by doing away with the tobacco smoke, e-cigs are far safer to use than smoking tobacco. Russell believes if current e-cig users – also known as vapers – take the time to promote the devices to current tobacco smokers, they could have a positive impact on the smoker's health. So what's an e-cig user to do to help? Russell said think of the vowels in the alphabet – A, E, I, O and U.
E-cigs users can share their knowledge about e-cigs with smokers and give tips about what's available for sale. There are many choices when it comes to the design of e-cigs and flavors can range from ones similar to the taste of tobacco to a variety of fruit, dessert and spice flavors. As part of sharing their first-hand experience about how vaping helped them quit smoking, e-cig users should offer support and encouragement to smokers trying to quit. E-cigs are a similar experience to smoking, but not identical. 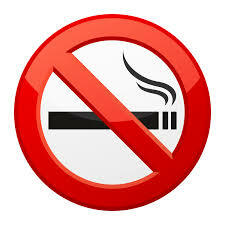 Therefore some tobacco users will still crave smoking and at times might find e-cigs to be unsatisfying. At those moments, having the support of someone who has "been there" will be very valuable. Sharing factual information, studies and data can help show a smoker the true risks of smoking compared to using e-cigs. Sharing information about how to choose, use and care for e-cig devices also is helpful knowledge to share. E-cig users can help smokers gain access to e-cigs by taking them to shops or showing them online vendors. E-cig users also can provide information about where e-cig use is permitted and prohibited. By knowing these type of details, smokers can convert to e-cigs more easily. Taking the time to remember what it's like to switch from tobacco cigarettes to e-cigs allows an e-cig user to be empathetic to a smoker's resistance to change or hesitance to stick with their switch to e-cigs. By sharing the personal difficulties they faced during the transition from tobacco to e-cigs, vapers can help remind a smoker that it isn't easy and it's understandable that sometimes slips – such as smoking a cigarette – happen. For the study, the center surveyed 7,326 current regular vapers, of whom, 5,000 (75 percent) were smoking regularly when they first tried vaping. Of these individuals, 4,235 (85.9 percent) had quit smoking completely since they started vaping regularly, and of the 754 respondents who were still smoking, 56 percent had reduced their daily smoking by at least 50 percent since they started vaping regularly. Participation in the survey was online and open to anyone age 18 and over. Most of the participations were from the U.S. and France, but numerous participants also were from the U.K., Spain, Canada and Italy. "What could smokers, who are curious about using e-cigarettes to quit smoking, learn from these vapers who have quit or significantly reduced their smoking by using e-cigarettes?" Officials added that their survey also "aimed to connect smokers who want to hear the stories and experiences of those who have quit smoking with the help of e-cigarettes with vapers who have quit smoking and are keen to help smokers by sharing their stories of how they did it." Among the data collected from the 'successful' vapers was smoking history, past quit attempts, vaping history, e-cig preferences (including devices, flavors and nicotine strength), adverse events from e-cig use, perception of e-cig danger, benefits and pleasures of vaping and advice they would give to a smoker who is thinking about using an e-cigarette to quit smoking.